Be the first to know about exclusive offers! Sign up for the first time and receive a GIFT from Fastachi! Be sure to check your inbox for your gift. Free Shipping over $89 per address with Super Saver Shipping Details & Exclusions. 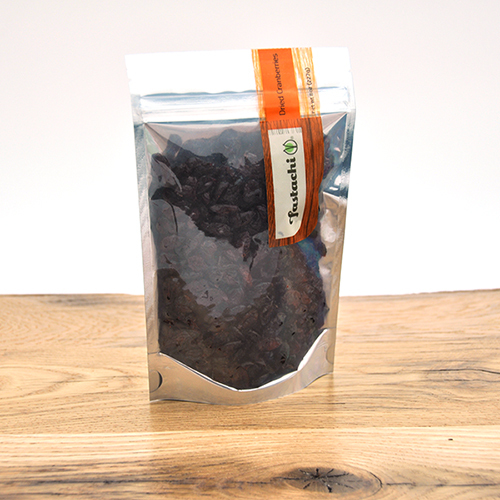 Fastachi's sweetened dried cranberries are moist, plump and full of wholesome tartness. 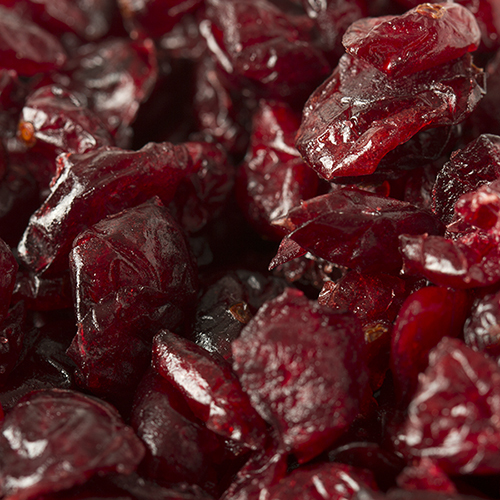 Dried cranberries are ideal in salads, recipes, for just plain snacking, and are a great alternative to raisins. Cranberry Fact: Cranberries are found in bogs throughout cooler parts of the northern hemisphere, and grow on low creeping shrubs or vines. The Native Americans were the first to recognize cranberries as food in North America, and introduced them to the English Settlers, who incorporated them into the traditional Thanksgiving meal. 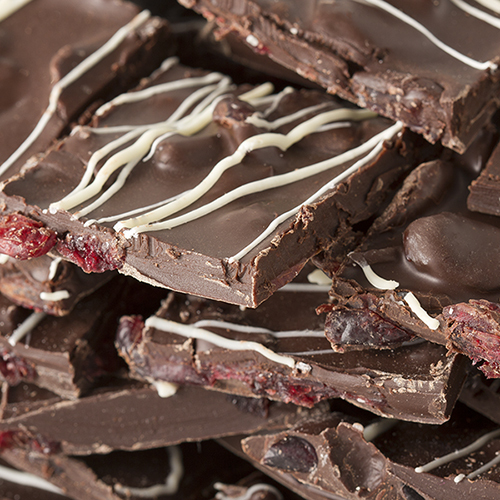 Today the majority of cranberries are processed into dried cranberries, cranberry juice and cranberry sauce with the smallest portion being sold as fresh. NUTRITION FACTS: Serv. Size: about 1/4 cup (34g). Amount Per Serving: Calories 110, Total Fat 0g (0% DV), Sodium 0mg (0% DV), Total Carb. 28g (9% DV), Fiber 3g (10% DV), Sugars 22g, Protein 0g, Iron (0% DV). Not a significant source of Cholest., Vitamin A, Vitamin C, Calcium or Iron. Percent Daily Values (DV) are based on a 2,000 calorie diet. 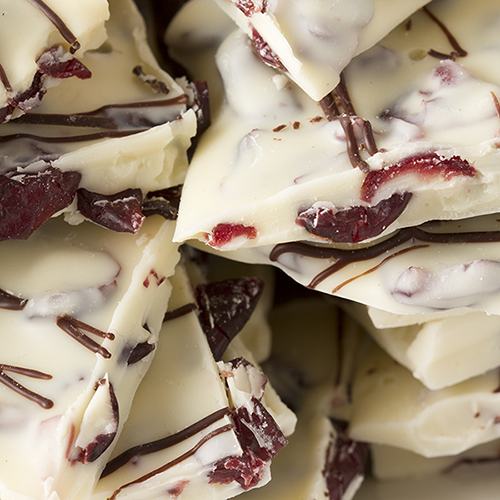 INGREDIENTS: DRIED CRANBERRIES (CRANBERRIES, SUGAR, SUNFLOWER OIL). 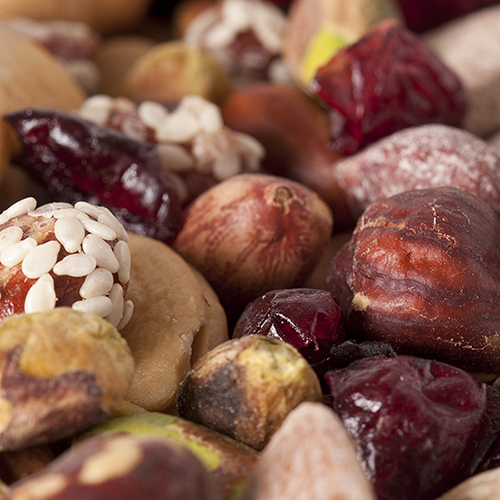 This product is processed/packaged in a facility that processes tree nuts, peanuts, wheat, dairy and soy products.